After sales services don an important role in a firm’s development and growth and the same has been realized by a lot of automobile companies in the nation. 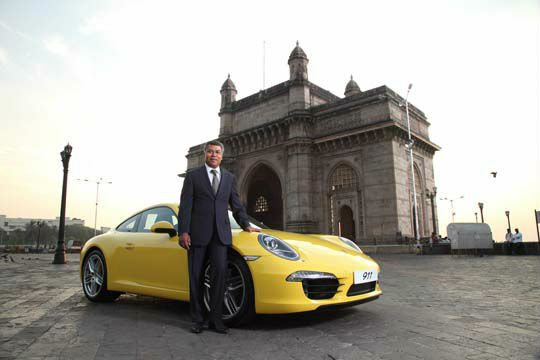 Now, Porsche India has nominated the 53 years old expert Kapila Perrera as its new Head of after sales. Ready to offer his huge brand specific experience to clientele and simultaneously looking after all the after sales jobs, Mr. Kapila will be accountable for his responsibilities to organization’s Director Anil Reddi. The after sale jobs will comprise a list of functions such as strengthening the technical ability of their knowledgeable after sale service staff via regular training offers, looking after spares stock and administering the entire warranty procedure across the country. Additionally, Mr. Kapila will also take care of the matters of best-in-class service workshops in the nation. Mr. Kapila has thorough knowledge about after sales services, and has worked as an After Sales Manager at Porsche Center Kuwait from the year 2003 to the year 2007. Mr. Kapila donned a praiseworthy character in making this center first to attain 100% in an internal After Sales audit. While talking about the new appointment, Mr. Anil Reddi, Director of Porsche India stated that with a vast knowledge in the area of automotive services, Mr. Kapila will be a valuable advantage for Porsche India assisting in establishing concrete service base for the Porsche brand in the nation.